First tattoo. 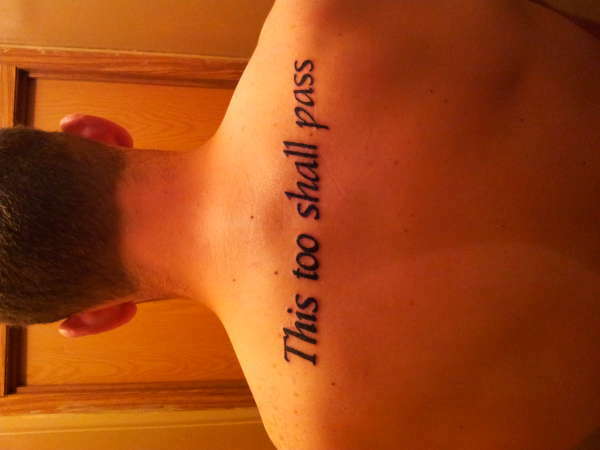 "This too shall pass" on upper back. By Scott Harrison at Soundskin Ink in Mount Sterling, KY.